This post is sponsored by Natural Balance and the BlogPaws Professional Pet Blogger Network. I am being compensated for helping create awareness about Natural Balance Wild Pursuit™ or Natural Balance Treats, but Blog by Donna only shares information we feel is relevant to our readers. Natural Balance is not responsible for the content of this article. 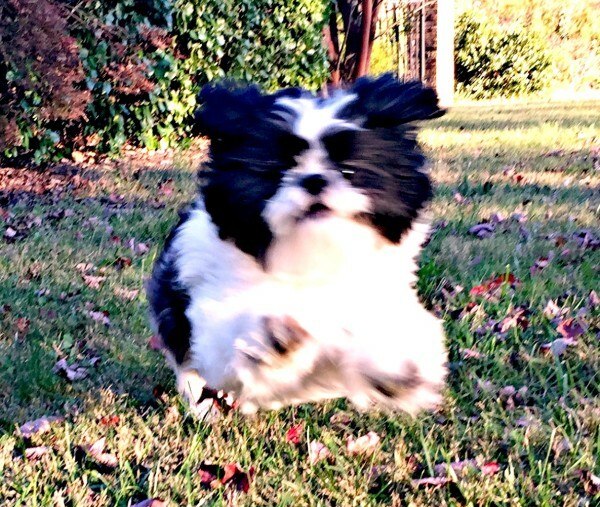 Our pup, Baxter, loves to romp and play, and although he is an inside dog, he loves being outdoors. 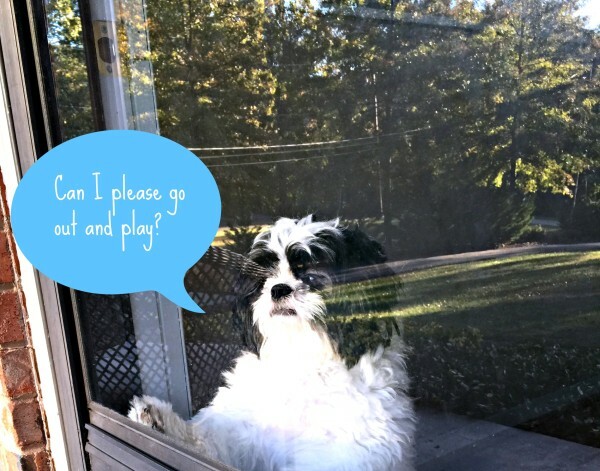 Since he is our first Shih Tzu, I’m not sure how other dogs of this breed behave, but he is not a froufrou dog… he wants to be out in nature getting in touch with his wild side. 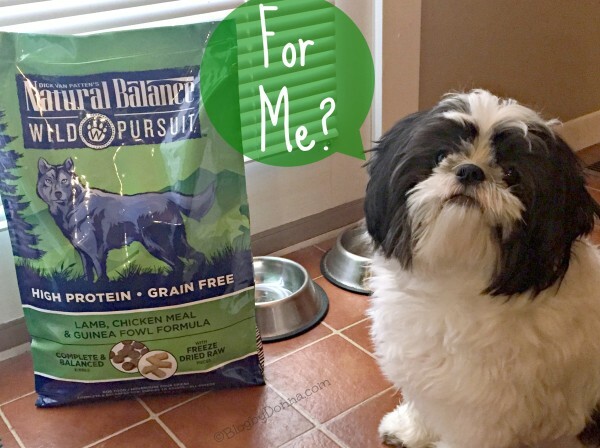 We want to keep him active and healthy, so it’s important to us that we feed him a high protein, grain free diet like Natural Balance® Wild Pursuit and that when we reward him with a dog treat, it’s good for him and shows him how much we love and care for him. Baxter needs dog food and treats with a superior high protein, grain free formula that will satisfy his primal cravings. You know, that “wild” side I mentioned earlier. He really is such a well behaved dog that we want to reward him with nutritious rewards and I love that Wild Pursuit is formulated by expert nutritionists. 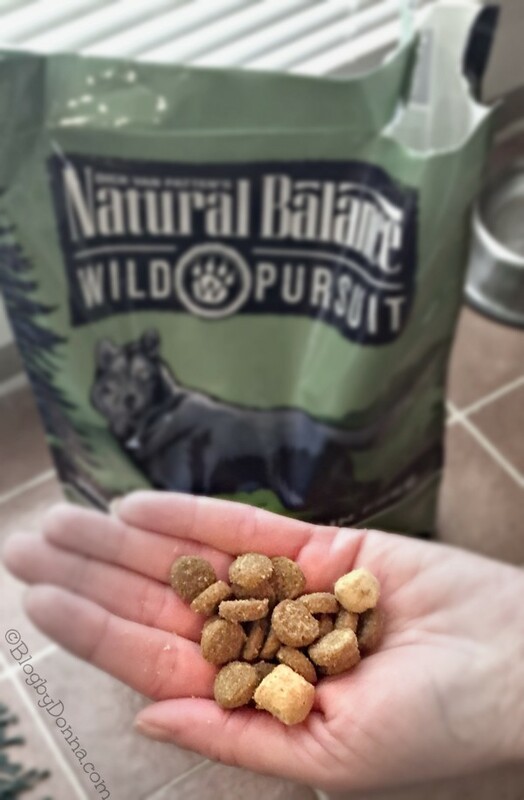 I recently received Natural Balance Wild Pursuit to try out with Baxter. Meets the nutritional needs of dogs and cats by closely resembling the diet they would have eaten in the wild. Because they are so confident in their pet food and treats, Natural Balance Wild Pursuit comes with a “Buy with Confidence” guarantee. As I’ve mentioned many times on my blog before, Baxter is a family member and his diet is as important as our’s is… and since Wild Pursuit contains no artificial ingredients or colors combined with being a premium-quality protein source, it makes it a great natural pet food choice for us. We will continue to embrace Baxter’s wild side and look forward to giving him high protein dog food and healthy treats. He does deserve the best pet food. Check back in about a month to see how we like Wild Pursuit. If you would like to try Natural Balance Wild Pursuit for yourself, check out where to buy Natural Balance products from pet retailers near you. Check out the Natural Balance dog treats here. Does your dog or cat have a wild side? He IS SO CUTE. BUT I HAVE TRIED THAT DOG FOOD WITH MINE AND THEY HAD A ALLERGIC REACTION. BUT HE’S A CUTE BUGGER. Oh my God. Your dog. I love that you have a post about Wild Pursuit and that’s the dog that’s zipping through the yard. It’s so, so cute. And yay for companies making food that’s actually healthy and nutritious for our animals! Is it weird that my first thought was like “why don’t they make this for my kiddo” lol!??! I swear my son would rather roam and frolick outside then inside 😉 I guess I still have to feed him real food huh?!? This brand sounds fabulous and I will have to share it with my doggy mom friends!! Thanks for sharing! This sounds like a great option for dogs! I love that it is grain free. I like the fact that it is grain free. This looks like a much healthier option. We just got Wild Pursuit and I’m looking forward to trying it with my dogs. I have heard excellent things about it. You have a such a cute dog! I would love to try this for our Husky Bella! It can be so hard to get them to slow down! I love you’re embracing the wild side! I’ll have to check out Wild Pursuit for my dog. This sounds like a great brand of dog food and treats. It would be great for my sisters dog that is active. I really appreciate a line of dog food that is grain free. I am sure our sweet boy would love all of those unique flavor options too! I love your pictures! I have a pitbull that is very wild at times! ha! OMG, Baxter is the cutest pup ever! We have a Shih Tzu too and just love ours! She’s our baby! Baxter looks like he’s so full of energy! I would like to try this for my dog,grain free is better for dogs. This sounds like great dog food and thank you for sharing your review with us. I love your dog. He reminds me of my dog that passed away last year. He was a Shih tzu also. He could be frufru (you could tell he’d be feeling himself after getting groomed) but he did love to run around and gallop through grass also. Baxter is absolutely adorable!! He really has the cutest face!! We are also trying out Natural Balance and are loving it!! The pictures you took are great! That is a spunky little dog! Clearly giving him good, wholesome fuel is key to live a busy, happy life! My daughter has two dogs, Elvis and Ringo. This may be a great option for them. A healthy diet does help keep them active. It’s important that we give our pets good food. Your dog is such a cute fluffy dog! I have heard great things about Wild Pursuit. We will have to let our dog try it. 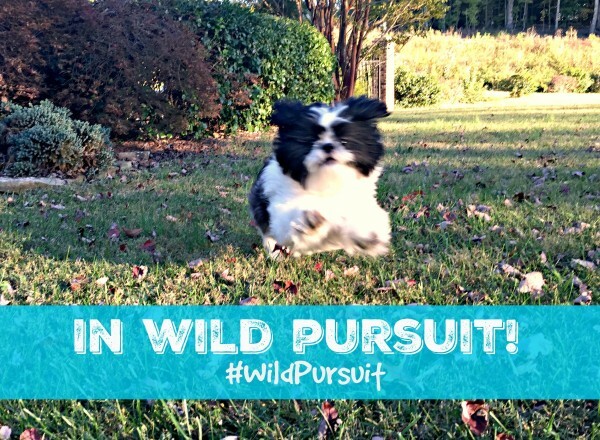 Your dog is the perfect example of wild pursuit! Look at him running around like crazy. This dog food looks great. Your dog is a cutie and our pets deserve the best, this sounds like a good nutritious option. I am thinking of switching my dog too.